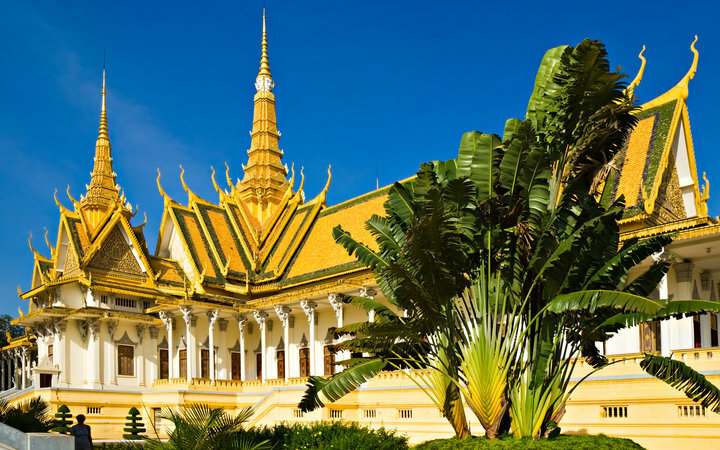 Bordered by Vietnam, Laos and Thailand, Cambodia is at the heart of Southeast Asia. The newest Work the World base is nestled in the country’s rapidly developing capital, Phnom Penh, which is intoxicating in every sense of the word. This treasure trove of Asian culture is brimming with opportunities to explore ancient history, and celebrate colourful ancient tradition. We’ve put together a ‘must-do’ list for anyone interested in undertaking a healthcare placement with us in Cambodia. 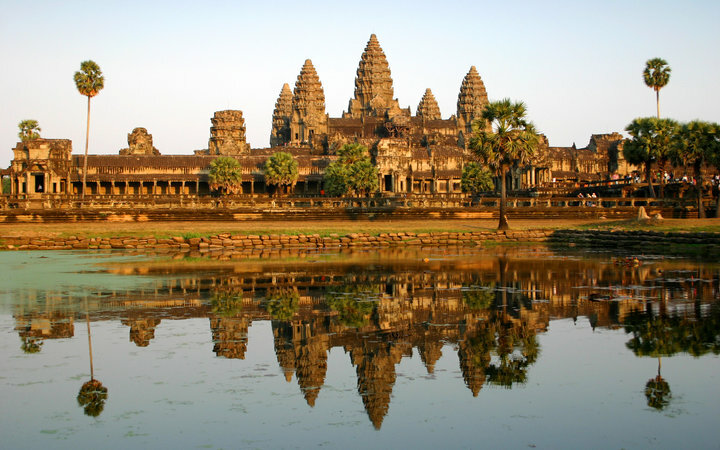 Angkor Wat, or the ‘City of Temples’, is the top of most to-do lists, and for good reason. More than one-thousand 12th century temples make up the biggest religious monument in the world. Parts of this bafflingly vast architectural site have been reclaimed by jungle (great fun to explore), where others remain well-preserved, with giant faces hewn from blocks of stone remaining in sharp focus. 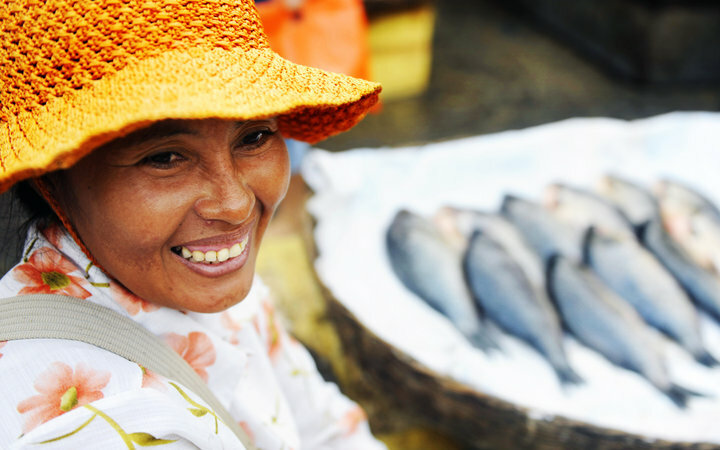 Phnom Penh has many markets, but this one should be top of your list. The market is packed with souvenirs, street food, crafts, jewelry, silks, and discounted branded clothing (that may or may not prove authentic). The official residence of King Sihamoni, this gilded palace is beyond lavish. With buddhas fashioned from gold, silver, crystal and bronze, a throne hall used for coronations, and 59 meter tower, this pagoda-style complex is one of the city’s most famous. Wander through a maze of glimmering pavilions, pagodas, and delicately sculpted gardens. For those keen on venturing out of the city and into nature, add the Cardamom Mountains to your list. Situated Northeast of Phnom Penh, this mountain range boasts dense tropical jungle ready for you to explore. 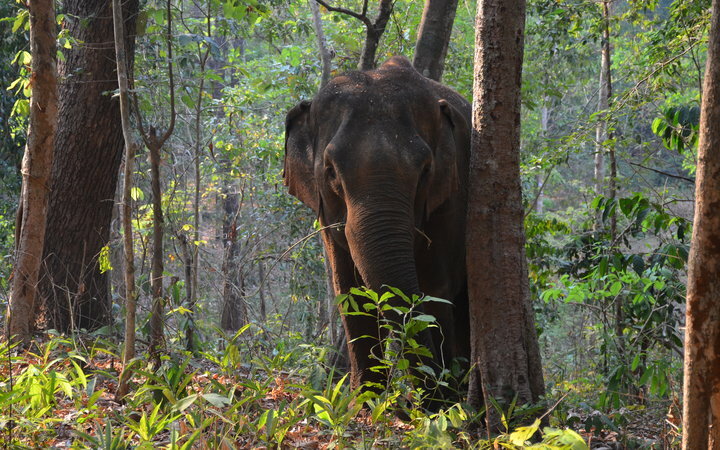 The trees provide habitat for animals like panthers, tigers, Malayan sun bears, Irrawaddy dolphins, and the largest population of asian elephants in mainland Southeast Asia. Home to indigenous tribes, ramshackle villages now double as stops for trekkers, with guesthouses and food for all. This is definitely a must if you’re one for exploring off the beaten track. Encompassed by sugar-fine sand and the most fantastically turquoise water you can imagine, Koh Rong is one of most beautiful tropical islands on the planet. Other than sunning yourself, swim on offshore coral reefs teeming with colourful marine life, and there plenty of chances to party. At certain times of year, you can even see sea plankton that turns luminous blue once the sun goes down. 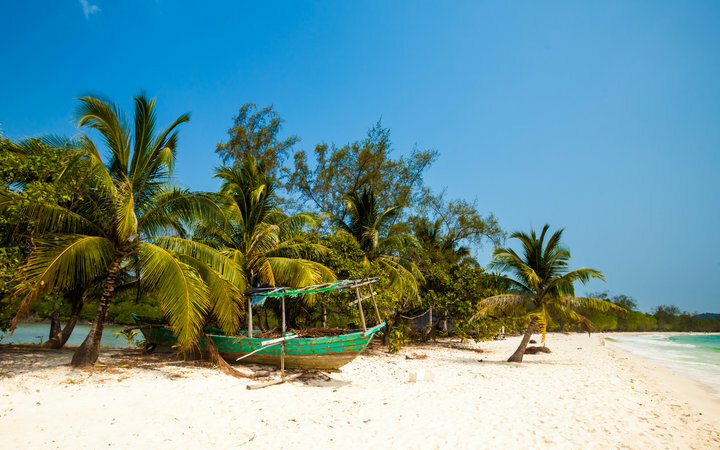 You can stay the night in the island’s main village, Koh Tunich, which is a small cluster of rustic wooden bungalows and beach bars. 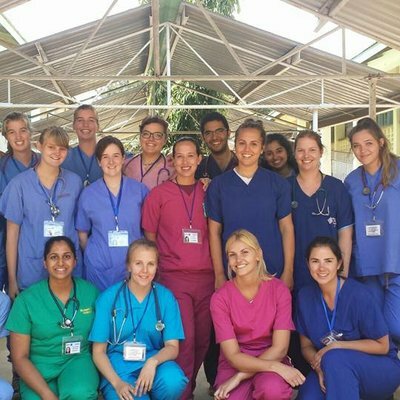 For more information on the various clinical placements we offer in Cambodia click here, or fill out the enquiry form below.